Alexander the Great conquered Egypt in 331 BCE, and founded the city of Alexandria at the mouth of the Nile delta. After his death Egypt was ruled for 300 years by the descendants of Ptolemy, one of his generals. Egypt then became a Roman province. The upper part of Egypt was heavily colonised, not only by Greeks, but by many cultures, including large numbers of Jews. By the middle of the first century AD Philo estimated the population of Jews in Egypt at one million, one-eighth of the total population, with 200,000 settled in Alexandria. The richness of culture, interaction, literacy and religious passion emanating from Alexandria and Upper Egypt had an extraordinary influence on Western culture. One particular manifestation was a Graeco-Egyptian synthesis of belief, practices, and culture expressed in a literary form now known as Hermetica, named after the quasi-divine personage and teacher, Hermes the Thrice Great, a fusion of the Greek god Hermes with the Egyptian god Thoth. The surviving Hermetic material can be divided into two parts: the technical Hermetica, and the philosophic (or theosophic) Hermetica. The technical Hermetica include early chemistry and alchemy, medicine, astrology and divination, and theurgic and thaumaturgic magic. The philosophic Hermetica (c. third century CE) are largely an undemanding synthesis of popular Greek philosophy (a fusion of Stoic and Platonic ideas) with a mildy Egyptian overlay, delivered as revelations by a teacher. In the discourse called the Pimander (Poimandres), the revelation is a vision given by a divine power, but most revelations are given by a teacher to a pupil ( typically Hermes to his son Tat). the triplicity of God, the Kosmos, and Man. the nature of the ultimate reality. the structure of the Kosmos, and its influences on humankind. the human soul, its nature, and the influences impinging on it. what is Good, in humankind, and in general. A rough outline of Hermetic doctrines would go as follows. Everything that is comes directly from God, variously characterised as the Good, the form of the Good, or the Father (of All). There are two tendencies in the creation, an upward moving tendency, and a downward moving tendency. The upward moving tendency shares in the fundamental character of the divine, and has the nature of Mind. The downward moving tendency is Matter, and provides the basis for all that has form and extension and movement. The upward tendency is Good. The downward tendency is Evil (but only in the passive sense of veiling the Good). a bounding sphere, which reveals its perfection. the divine powers of the 36 decans. the seven governors or administrators, which are Kronos, Zeus, Ares, Helios, Aphrodite, Hermes and Selene. The Kosmos embodies divine Providence, which is the plan of its creator. The working-out of Providence is experienced as Destiny and Necessity. What piece of work is a man! how noble in reason! is a direct echo of sentiments expressed in the Asklepius, one of the Hermetic discourses. Many of the Hermetic discourses concern the soul. The soul is composed of two parts. One part is akin to the divine mind, which, through its ability to rest in the eternal, is free from the diktats of Destiny. The other part is attached to the senses, and is pushed and pulled by various desires and emotions. The sensate soul is effectively a reactive automaton, the product of its inputs. There is a tension in the Hermetica between the beauty and order of the Kosmos, the divine creation, and the servitude of the soul in its fleshy embodiment. Some discourses stress a need to detach oneself from the desires of the flesh, and there is more than a hint of dualism and asceticism. One of the most insistent themes in the Hermetica is that the true nature of the soul is found in the intellect, which is a mirror or microcosm of the divine nature. The Hermetic literature appeared at approximately the same time as other important religious and mystical movements: late Platonism (Neoplatonism), Gnosticism, and Christianity. The Graeco-Egyptian system of late-pagan beliefs that constitutes Hermeticism was quickly displaced and suppressed by Christianity, but it survived in some locales until medieval times. Although the evidence we possess is limited, it appears that the pagans of Harran (i.e. the Sabians) in northen Mesopotamia possessed Hermetic literature. When challenged to name a prophet from the Koran, or convert to Islam, they chose Hermes (Enoch) and the Hermetic corpus as their sacred text. Harranian pagans play an exotic and distinguished role in the transmission of the Hermetic transmission. Exotic, because the fragments of information we possess are enough to excite the imagination without satisfying it. What we do know suggests a continuation of Hellenistic philosophy and Hermeticism, combined with the astral magic and the astrological and astronomical traditions of Mesopotamia. Many members of the community migrated to Baghdad in early medieval times; one of the best known was Thabit ibn Qurra. It has been theorised that the Corpus Hermeticum reached Byzantium via Sabians (Harran being on the southern edge of the Byzantine commonwealth). Much of what we know about the Sabians appears in Moses Maimonides' immensely influential Guide for the Perplexed, a work that circulated throughout 12th. century Europe, and which appeared (perhaps coincidentally, perhaps not) at the same time as the first Kabbalistic speculations in Provence. 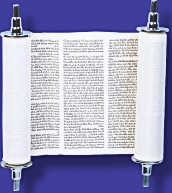 Its main purpose is to reconcile Judaism with the rational philosophy of Aristotle. Another important route for the transmission of loosely Hermetic ideas into Europe was the Picatrix, the Goal of the Wise, written in Arabic in the 10-11th centuries CE, and translated into Latin in Spain in the 13th century. It is a compendium of ancient lore, astral and talismanic magic, astrology, history, and has obvious connections with the kind of Hellenistic philosophy found in the Hermetica. It is plausible that it comes from the pen of a Sabian. The main impact of Hermetic ideas occured when the Corpus Hermeticum reached Italy in the 15th century and was translated by Marcilio Ficino under the patronage of Cosimo de Medici. Its influence was immense. It was believed to be the original, ancient Egyptian traditions that preceded and inspired Greek philosophy (a belief that survived until debunked by Isaac Casaubon, a contemporary of Dr. John Dee). 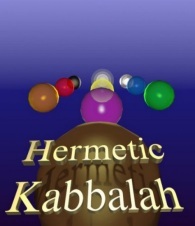 The Hermetica arrived in Italy at the same time as an upsurge in interest in Kabbalah amongst Christians, and to some extent a fusion of beliefs occured. Probably the best expression of this fusion of traditions can be found in Cornelius Agrippa's (1486 - 1535) Three Books of Occult Philosophy. In several senses this work can be seen as the soul of the Picatrix reincarnating in Renaissance Europe. One could probably date the origin of Hermetic Kabbalah from the publication date of the Three Books. The explosion of interest in Egypt and occultism in the late 19th century, along with some important translations, produced organisations claiming a part of the Hermetic tradition, such as the Hermetic Brotherhood of Luxor, and The Hermetic Brotherhood of Light. Best known is the Hermetic Brotherhood of the Golden Dawn, an organisation that made a genuine attempt to resurrect the initiatory and magical traditions of the ancient pagan world. After the Golden Dawn imploded, several members continued its ideas and work, and Dion Fortune, one of the pupils of Moina Mathers, published works on kabbalah, magic, esoteric psychology and theosophy. Her principle work of theosophy is The Cosmic Doctrine, said to have been channelled by a Greek philosopher. It is in many respects an extraordinary work that combines the cosmic evolutionary ideas of Madam Blavatsky and mechanistic causation, with what can only be described as ancient and entirely Hermetic worldview.